If you cannot see properly, it can seriously affect your quality of life and ability to perform even simple daily activities like reading or driving. If you suffer from macular degeneration, the clearest, central part of your vision may become distorted or blurred. Your macula is located in the center of your retina, the tissue at the back of your eye that senses light and sends signals to your brain so you can see. 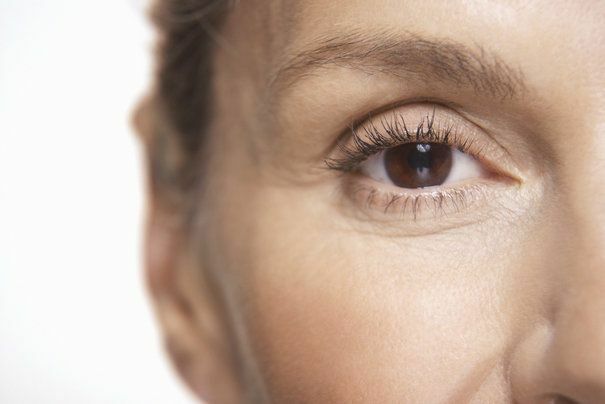 At Grin Eye Care, we can help you monitor and manage both wet and dry macular degeneration to preserve your vision. At Grin Eye Care, we can help you monitor and manage both wet and dry macular degeneration to preserve your vision. Contact us today to schedule a consultation with one of our doctors at our Olathe or Leawood office. Macular degeneration involves the breakdown of retinal cells in the macula. There are two types of this disease. Dry macular degeneration is the most common type, affecting about 90% of patients with the condition. Patients with dry macular degeneration may experience blurred vision or blind spots in their central vision, which are believed to be the result of thinning macular tissue and/or accumulated debris called drusen. Straight lines may also appear crooked and you may have difficulty seeing in low light. Wet macular degeneration is much less common. Abnormal blood vessels grow on the macula and leak fluid or blood, obscuring vision—similar to diabetic retinopathy. Wet macular degeneration causes more pronounced and rapid vision loss, and can sometimes develop from the dry form of the disease. To reduce your risk, make sure you eat a diet high in antioxidants and omega-3 fatty acids, exercise regularly, and wear sunglasses to protect your eyes from ultraviolet (UV) rays and radiation. 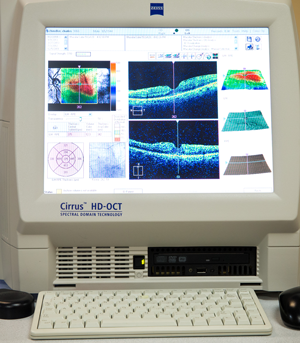 If you suffer from dry macular degeneration, we will monitor your condition at regular intervals using the CIRRUS™ HD-OCT, which takes high-definition pictures of your retina. We also recommend AREDS-2 vitamins, which may slow the progression of the disease and improve your ocular health. If you suffer from wet macular degeneration, we will refer you to a local retinal specialist for intravitreal injections, which can shrink abnormal retinal blood vessels. For serious cases, we may be able to schedule an appointment with a retinal specialist for you on the same day as or day after your visit to our office. For a consultation, diagnosis or more information about your treatment options for macular degerneration, contact us today and schedule an appointment with one of our doctors at our Olathe or Leawood office.